San Jose, California – October 2, 2018. 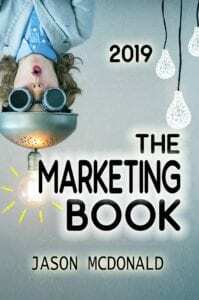 The JM Internet Group (https://www.jm-seo.org/), a leader in digital marketing books for small business marketers, is proud to announce that the 2019 edition of The Marketing Book, a new book focused on small business marketing, has topped 15 reviews on Amazon. Even in a crowded marketplace of books on how to market a business, The Marketing Book is picking up steam and is now available on all three major platforms – as a paperback, as a Kindle book, and as an audiobook on Audible. To see the online reviews, one can visit The Marketing Book online on Amazon at https://jm-seo.net/thema0e278 or on Audible at https://adbl.co/2QLxvG6. More information about the book is available at https://www.jm-seo.org/books/marketing-book/. On all Amazon-related websites, one can simply find the “review” link and then read the positive reviews of the book. Even better, Amazon has enabled the “look inside” feature and Audible has enabled the audio preview feature. In this way, an interested person can not only read the reviews but also get a preview of the book. Journalists, bloggers, and other influencers can reach out to the JM Internet Group as well for review copies. Here is background on this release. Many books on marketing focus on the very high level of enthusiastic generalities. Often written by pundits or professors, these books claim to have found the next “new” thing and then proceed to hype it into a “magic wand” for business marketers. While these books are high on enthusiasm, they are short of practical recommendations and practical to-do’s. In contrast, other books such as the popular “Dummies” series give very practical step-by-step advice but fail to be up-to-date and fail to provide a big picture for the marketer. The Marketing Book, in contrast, focus on the middle ground – part theory and part practice, motivating the small business marketer to conceptualize his or her marketing strategy and then go out to do it. The book is based on the think / do / measure method of marketing. Each Chapter explains a marketing task by, first, explaining how to think about the concept, second, giving readers specific action items to actually go do it, and third, providing tips on how to measure what’s working (and what’s not) to do it better over time. Even those who digest the book in audio format can use this methodology as the book includes a PDF copy and sample marketing plan after registration. In summary, it’s no surprise that the book is garnering positive online reviews at an increasing pace and enjoying a burst of sales. The time has come for a marketing book that explains in practical English how to think, how to do, and how to measure the most important activity a business faces: marketing. 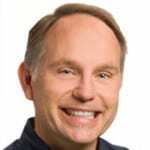 This entry was posted in Blog on October 2, 2018 by Jason McDonald.